The therapeutic goal in treating cerebral ischemia is to reduce the extent of brain injury and thus minimize neurological impairment. 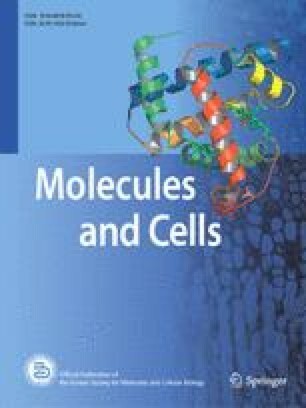 We examined the effects of p-hydroxybenzyl alcohol (HBA), an active component of Gastrodia elata Blume, on transient focal cerebral ischemia-induced brain injury with respect to the involvement of protein disulphide isomerase (PDI), nuclear factor-E2-related factor 2 (Nrf2), and neurotrophic factors. All animals were ovariectomized 14 days before ischemic injury. Ischemic injury was induced for 1 h by middle cerebral artery occlusion (MCAO) followed by 24-h reperfusion. Three days before MCAO, the vehicle-treated and the HBA-treated groups received intramuscular sesame oil and HBA (25 mg/kg BW), respectively. 2,3,5-Triphenyltetrazolium chloride (TTC) staining showed decreased infarct volume in the ischemic lesion of HBA-treated animals. HBA pretreatment also promoted functional recovery, as measured by the modified neurological severity score (mNSS; p < 0.05). Moreover, expression of PDI, Nrf2, BDNF, GDNF, and MBP genes increased by HBA treatment. In vitro, H2O2-induced PC12 cell death was prevented by 24 h HBA treatment, but bacitracin, a PDI inhibitor, attenuated this cytoprotective effect in a dose-dependent manner. HBA treatment for 2 h also induced nuclear translocation of Nrf2, possibly activating the intracellular antioxidative system. These results suggest that HBA protects against brain damage by modulating cytoprotective genes, such as Nrf2 and PDI, and neurotrophic factors.